Alaa and Gamal Mubarak, with seven other businessmen, are accused of violating stock market and central bank rules to make unlawful profits through dealing in shares of Al Watany Bank of Egypt. The suspects are accused of making $140 million profit from the unlawful sale. 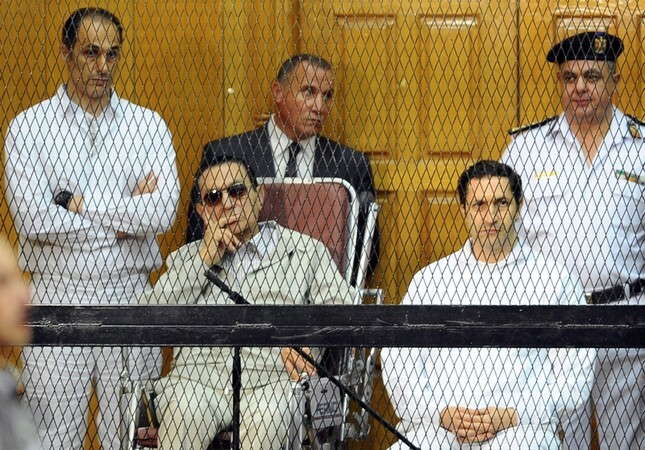 Mubarak's eldest son, Alaa, is a businessman. Gamal, a former banker, was widely viewed as being groomed for Egypt's top job until Mubarak was toppled in February 2011. The pair had been free since 2015, when they were released in a case on embezzlement of $16 million in funds for the Presidential Palace.